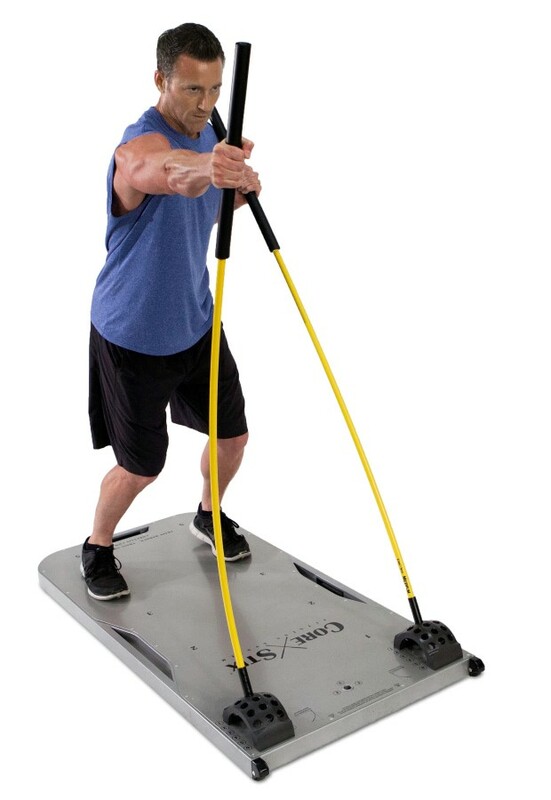 Designed by an NHL Stanley Cup winning Strength & Conditioning Coach and a former NASA Space Shuttle Design Engineer for superior performance, simplicity, and versatility, and to give you the most effective full body workout you have ever experienced … in less time! With Core Stix, upright functional strength training and calorie burning are easier than ever before. 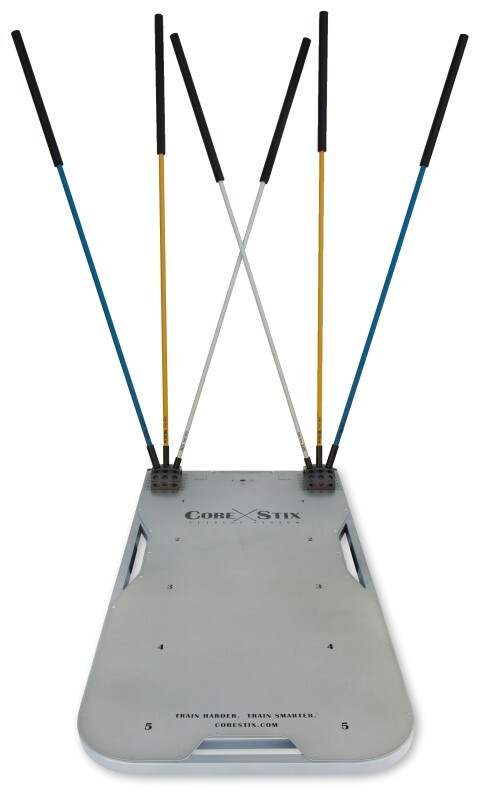 Core Stix’s revolutionary design allows you to provide strength, weight loss, balance and other performance improving exercises while standing on your feet, providing life improving strength and balance benefits to just about any user. Studies also prove that training in the upright position results in better core muscle activation and strength, and better functional performance. The bottom line is, working out in the upright position is the best way to improve your functional strength and balance. And, because you are using your entire body’s muscular system, you will also burn more calories while you are doing it! Core Stix is also compact and very portable. With its integrated handles, this model can be easily carried and stored against the wall, under the bed, or just about anywhere you have a little space. Get started today on getting in the best shape of your life with Core Stix! 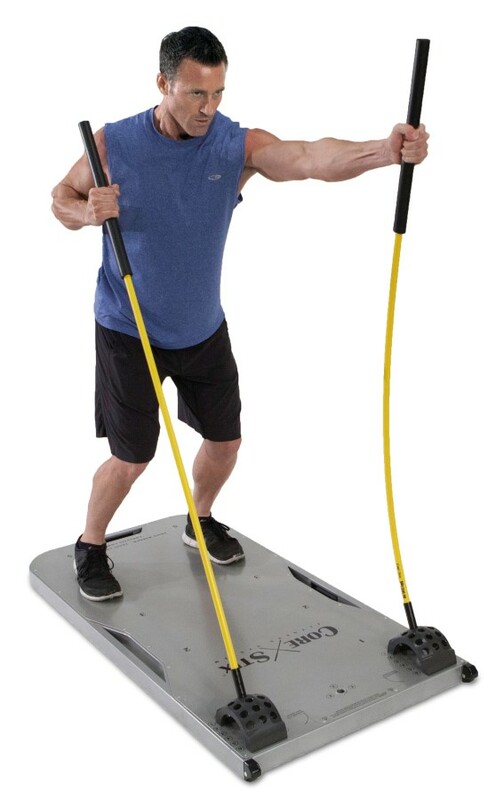 The Core Stix Pro Lite Board is based on a nearly decade long foundation of research, development, and manufacturing of high quality Core Stix fitness and therapy products! Perform a wide range of strength, weight loss, balance and athletic performance exercises on one system. Unrestricted movement in all three planes of motion (3D) for better simulation of sports and functional movements and core muscle engagement. Use in standing, kneeling, lying, and seated positions for any aged user. Stix provide progressive resistance, for safer and lower pain joint loading and more effective muscle building. Space-saving design is compact, lightweight, and stowable just about anywhere (leaned up against the wall, under a bed). Exercise programs from world class trainers comes with every product. 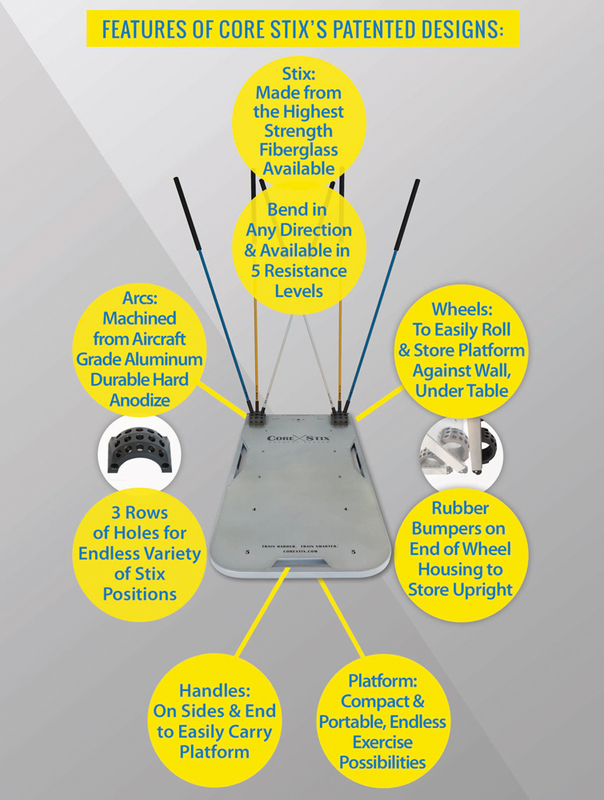 One Core Stix Pro Lite Board Platform (wheels optional). 3 total pair of Stix: one pair each of Lite, Medium, & Heavy Stix. HD Quality Functional fitness instructional videos. 37 different support holes for wide ranging adjustability and adaptability. Platform includes integrated handles on three sides for easy pick up and carry, and easy to tip it up for easy upright storage. 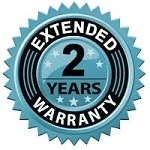 This product does not qualify for ADA tax benefits. 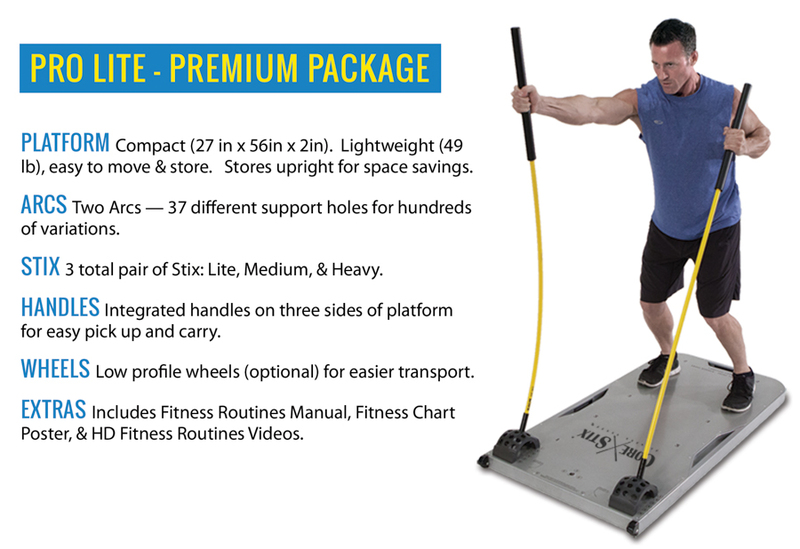 Please see our Core Stix One Physical Fitness Package or Floor Mount System Fitness Package for accommodating users in wheelchairs and walkers. Graphics are not available for this model.